The Bradford Sports Awards celebrate the achievements and efforts of players, coaches, administrators and volunteers from across all levels of sport throughout the Bradford District in 2018. 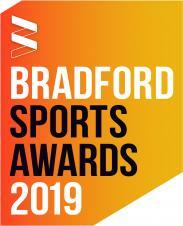 The fourth annual Bradford Sports Awards is sure to be another fantastic night, recognising the sporting talent that the district has to offer. From elite sports stars to grassroots, the awards celebrate the achievements in four categories: Senior Achievers, Young Achievers, Active Achievers and Outstanding Contribution. The awards include a three-course meal. All ticket prices are inclusive of VAT. Tickets can be purchased below. Please book your tickets on or before Thursday 28th February 2019. Tickets cannot be refunded after this date. - All individual finalists are entitled to one free ticket. - Clubs or organisations can claim two free tickets per category they have been shortlisted in. - Individual finalists are able to bring one guest at a discounted rate of £25. - Clubs or organisations listed as finalists cannot claim a discounted guest ticket, as they receive two free 'Finalist' tickets. These tickets give access to the VIP drinks reception and premium seats.